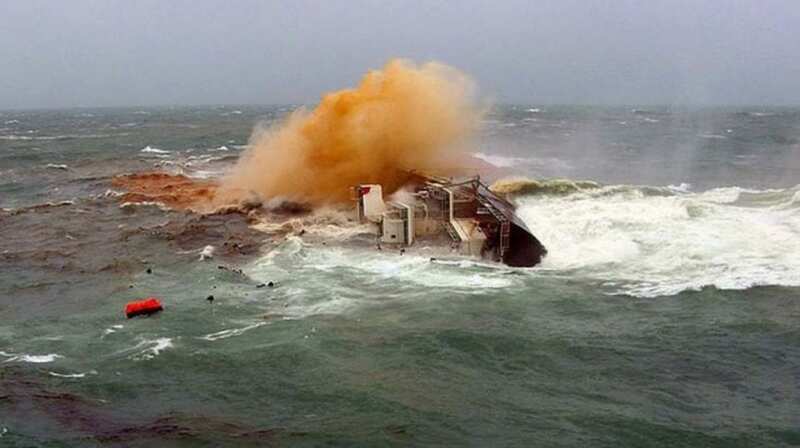 The carriage of dry bulk cargo by sea can be deadly. Loss prevention requires detailed knowledge of the risks and its application by ship managers and crews. The knowledge is contained within the International Maritime Solid Bulk Cargo (IMSBC). The Code provides the critical detail inclusive of cargo analysis methodology and safety requirements. 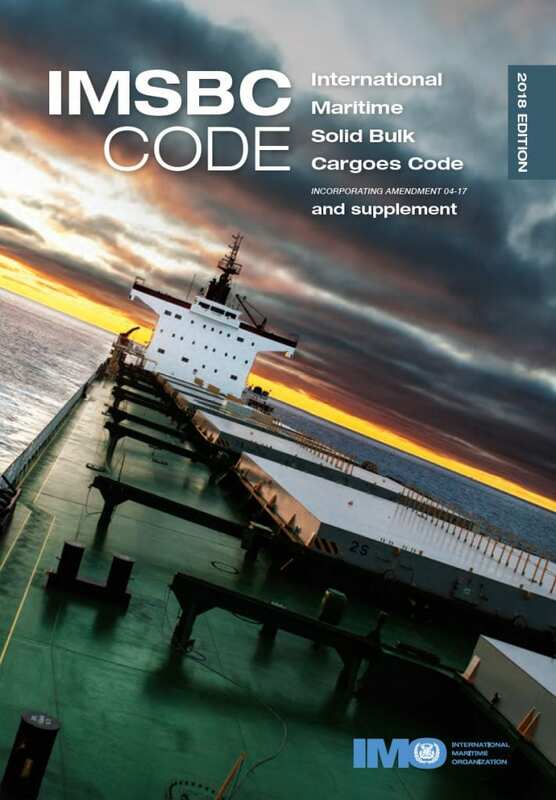 It is essential that all ships which carry bulk cargoes have on board a copy of the latest 2018 edition of the Code which incorporates the latest updates as contained in IMO Res.MSC.426(98) . A copy of the latest edition must also be available at the ship manager’s offices. The IMSBC Code has formed an integral part of the SOLAS safety regime for several decades. Most of the Code is mandatory. It is also a ‘work in progress’ as more bulk commodities and more detail is added based on casualty investigation findings and on-going scientific analysis. Accordingly, there are now many more bulk cargoes which have been included in the lists of Group A cargoes (may liquefy in transit) and Group B cargoes (chemically dangerous). Some of these cargoes were previously listed as Group C (stable and innocuous) and are now re-listed under Group A and/or B high risk categories. Reliance on previous experience alone is therefore not advised and the Code should always be referred to. It is essential that ship managers and crews understand how to access the Code’s 500 page contents and apply this loss prevention information to any bulk cargo they are required to load. As a starting point, a copy of the Code still sealed in its plastic shipping cover and sitting on a shelf in the master’s office is not going to prevent a Group A or B cargo tragedy. MM members should therefore ensure that their masters and crews are aware of the Code’s obligations. Further, that this awareness is confirmed by ISM Code internal audit purposes during shipboard attendances by owner’s technical superintendents. It is also essential that chartering departments are alive to the inherent dangers of Group A and B bulk cargoes when negotiating and before agreeing charter fixture terms. In particular, it is recommended that appropriate BIMCO bulk cargo clauses be incorporated. Structural damage due to tank top overstressing (may be caused by Group A, B or C cargoes). Asphyxiation of personnel during hatch/closed space entry (may be caused by Group A, B or C cargoes). In terms of loss prevention action, Risk 2. Structural Damage and Risk 3. Asphyxiation are risk exposures which can be effectively controlled by a ship’s master and crew based on comprehensive ISM Code procedures. No major problems here, subject to first ensuring shore and shipboard team management awareness and formal agreement of appropriate action. Risk 1. Cargo Liquefaction is far more problematic in that the identification of a Group A cargo that may liquefy requires the IMSBC Code involvement of the cargo shipper. The Code mandates that the shipper is obligated to provide pre-shipment analysis of both the intended cargo’s Transportable Moisture Limit (TML) as well as an analysis of the moisture content of the cargo being loaded. The analysis process requires sophisticated equipment and highly trained personnel. These facilities are often not available in emerging economy countries where Group A cargoes such as nickel ore and bauxite are loaded. The associated problem is that of shipper integrity in circumstances where they are often also the CIF seller and charterer. This can and does generate an intense conflict of interest and motive to collude with mine owners to fabricate the cargo analysis data. In such cases, surveyors appointed by the shipowner’s P&I Club may also be threatened and shipmasters offered bribes to continue to load wet cargo. The results of cargo liquefaction are well reported as being the proximate cause of many ship capsizes and seafarer deaths. Its prevention requires a high level of awareness, vigilance and determination to resist shipper pressure. MM members who may find themselves in need of assistance are invited to confer immediately with their local MM representative or listed correspondent. The IMSBC Code provides the key regulation for the carriage of bulk cargoes, many of which are Group A and/or B and potentially high risk. The Code is updated on a regular basis and its 2018 Edition will come into force on 1 Jan 2019. It will apply to all MM members who operate bulk carriers over 500 GT in international trade. The SOLAS Convention, the ISM Code and the IMSBC Code may also apply to small vessels and barges carrying bulk cargo in coastal trades if they are subject to Non-Convention Vessel Standards (NCVS) regulation. As an example, Indonesian flag vessels engaged in coastal trade are subject to NCVS Regulation 65. This regulation is based on the SOLAS Convention and all of or parts of the ISM Code dependent upon the size and type of vessel and trading distances. MM members who operate coastal trading vessels should therefore confer with their flag state authority to assess the applicability and scope of NCVS regulation and the associated IMSBC Code to their own vessels and trades. MM would like to encourage all of its bulk carrier owner members to raise awareness of this Risk Bulletin and the link it contains. Please download and forward it to your Commercial and Technical managers as well as to all bulk carrier Masters in your fleet. A few clicks and your personal cover note could provide you with an immense return in terms of upgrading ship safety, crew welfare and year end profitability.